Apple has introduced a new payment method for its users – Apple pay. Apple pay is a secure and easy way to buy physical goods and services. This is available in iPhone 6, iPhone 6 Plus and Apple watch devices. Users can save their credit/debit card details in their devices. These details are stored in a Secure Element embedded in the new models, which have no contact with the main processor where the app runs. Users can authorize their payment using the stored credentials with the help of Touch ID. Earlier, Apple had permitted its apps to do the payments only through In-App purchases. Apple pay is different from In-App purchases. While In-App purchases could sell only virtual goods such as subscriptions and premium app content, Apple pay could sell physical goods and services. We hand over our card to make the payments in stores and the card number, identity are visible. In Apple pay, a unique Device Account Number is assigned when we save our credit/debit card in passbook. This unique number is encrypted and stored securely in a Secure Element – a chip in new iPhone models and not stored on Apple servers. The actual credit/debit card numbers are neither shared with the merchants nor transmitted with the payment when a purchase is made. Just the Device Account Number along with a transaction specific domain security code is used to process the payment, thus making all the payments more secure. Isn’t this great ? Apple pay is private, secure and ensures that all the information just stays with us. Now paying in stores is just a touch with Touch ID – we don’t have to open an app or wake up display. The new iPhone6 models and Apple watch have a Near Field Communication (NFC) antenna. We just have to keep our device near the reader with a finger on the TouchID. A gentle vibration and beep lets us know that the payment is successful. Apple pay is also integrated with some of the payment gateways – Authorize.Net, TSYS, CyberSource, First data, Stripe. They make payment processing with Apple pay simpler by managing the credentials and processing the purchases from the app. We can also integrate Apple pay directly or by using above mentioned payment gateways in our apps. Apple provides a framework for Apple pay along with iOS 8 SDK – PassKit framework. PassKit provides APIs that can be used to determine if the device is compatible with Apple pay and also if the device has been provisioned with payment cards that the app supports. Apple doesn’t charge users, merchants, developers to use Apple pay in apps. Apple pay is compatible only with devices having Secure Element. iPhone 6, iPhone 6 Plus and Apple watch are the new models with these features. Create a Merchant ID in apple developer account (Certificates, Identifiers and Provisioning Profiles section). Use this Merchant ID to generate CSR from the payment gateway. Submit the CSR generated by the gateway to create Apple Certificates in apple developer account. This is the public key and private key to encrypt and decrypt the payment token. Include Apple pay entitlement in app. The PassKit framework should be imported to the app for working with Apple Pay. This framework can check whether the running device has Secure Element and if the device has been provisioned with the payment cards that our app supports. Payment requests are created with all the details set as properties, required for making a payment. Apple pay UI elements are used in the app for approval at the store. After making the request object, Apple pay payment sheet has to be invoked on Apple pay button click. The payment sheet takes over the UI and handles the workflow that Apple will use to authorise the card holder. This payment sheet has ‘Pay with TouchID’ with which the card holder authorises the payment. The payment sheet callback method is invoked with a payment token. This object contains information required to process and complete the payment through the gateway. On the call back method we create an instance for the payment gateway we use. Then we submit the payment request to the service and on completion of the payment we receive a success or failure status. There are some payment gateways which have integrated Apple pay and they provide developers with the SDK. When you give your credit card to swipe at a supermarket or a restaurant, your contact details may not be handled securely. Especially when the card is taken out of sight. Apple pay uses biometric identification to verify that its you holding the iPhone 6 and tapping to pay with NFC. The secure chip in the phone can help generate an OTP code for your payments. 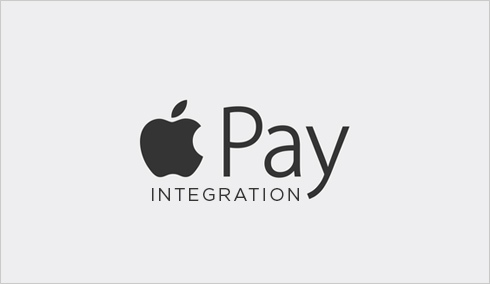 We at Quintet will help you integrating apple pay into your apps. Xcode 6 with iOS 8 SDK is now available for developers. Our developers have started working with Apple pay to implement it as an additional option to our apps that have payment gateways. We are thorough with the new guidelines to be followed when submitting any app with Apple pay to app store. We follow each review guideline with extreme care that we don’t fail in getting the apps accepted by the store. Since Apple pay is integrated on the iPhone, Apple Pay will be quite popular. Customers will start reaping the benefits of using Touch ID and will want to tap to pay. Apple pay is expected to be a revolution in mobile world. People will not have to carry their cards and worry about losing them. We at Quintet will help you tap that market by integrating apple pay into your apps. Apple Watch is Apple’s first device which is designed to be worn. Integrating it with iPhone, you can reap all the benefits of Fitness monitor, Apple Pay, Emails and messaging, Personalization , etc. , and at Quintet we will help you tap the maximum market potential by developing Apple Watch apps for you. Objective-C is easy to understand, easy to design, faster to develop and more manageable in modifications. Quintet uses Objective C to program apps for iOS and OS X. We can help you program iOS apps with Objective-C with great user interfaces. Your online products may attract the customers but the successful completion of a sale depends on a variety of factors, some of which are -Type of payment mode, Payment gateway theming, Multi currency Support, Security etc. Our Payment Gateway Integration services enable you to receive payments online through a wide variety of payment methods keeping all these factors in mind. Quintet helps startups, businessmen, wholesalers, retailers and brands to develop highly profitable Ecommerce business solutions. Let us help you to sell your products and services online. Our wide range of Ecommerce Solutions such as Bigcommerce,CS Cart, shopify, Zencart, etc. enables you to receive funds from around the globe supporting multi-currency types.